Your price: $69.00 92% OFF Retail! 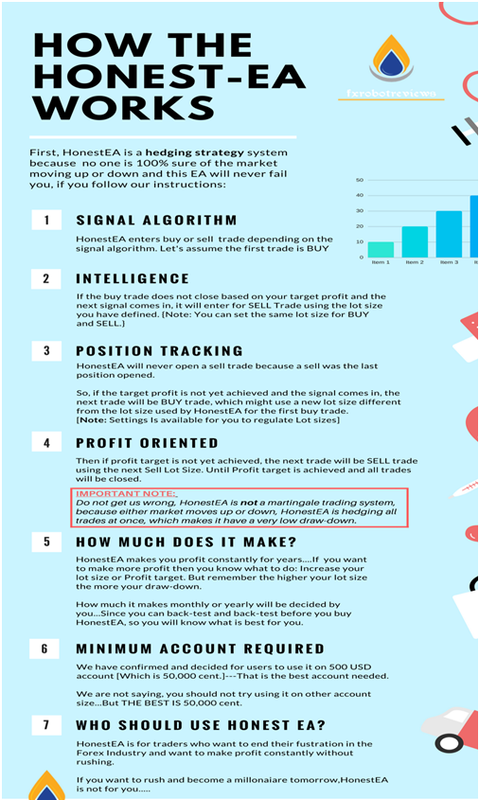 We developed HonestEAV2 to help small traders too make money. The truth in forex is that: You need big money like banks to compete with them. But since all fingers are not equal we decided to make sure HonestEAV2 can do the work for big traders and small traders. So if you dont have much in your account , you can use cent account and you will still be happy. See you dont need to rush with HONESTEAV2, just attach to your chart and see how it will work. Forex is not easy for everyone, we need to let you know this because it took us time to develop this EA. So if you think you are not interested in buying but you want us to trade for you let us know..
You have seen it all. Note: Your account will never crash, contact me: if it crashes even after a year and I will pay your money back. Just make sure you follow instruction that is all I am asking..Please.. If you want to rent, make payment of $70 per 4 months and if you are ok..
You can purchase a license. Dont buy this trading system if you want rush and double your account tomorrow..
HonestEAV2 wont double your account the next day. But if you want to make upto 70%-100% yearly..Yes you can purchase.